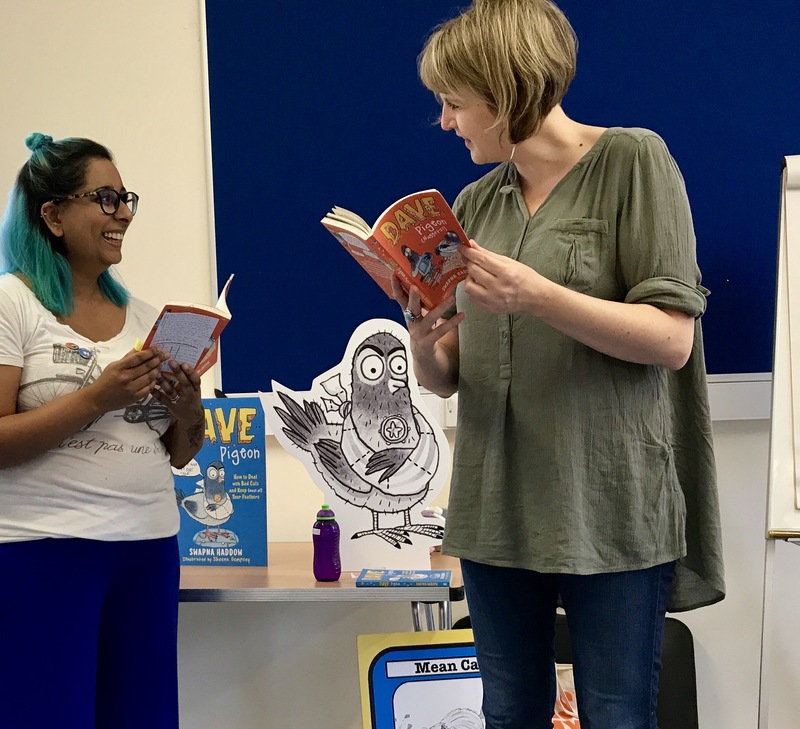 As part of the Summer Reading Challenge celebrations, Barnet Libraries invited Sheena and I to run our Dave Pigeon workshop at North Finchley library. 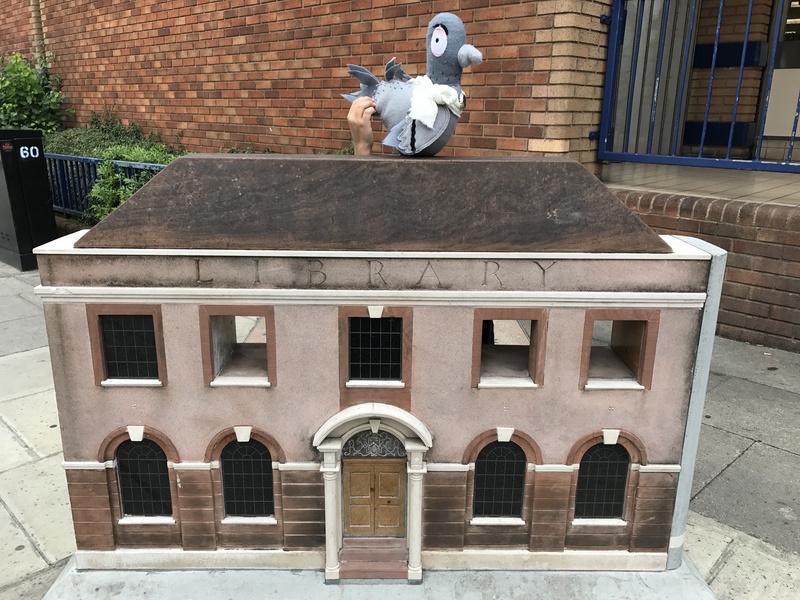 This meant an awful lot to me as libraries were my favourite places as child (and still are now, quite honestly) and this was my first event at a library in my home borough. We created a host of brand new super villains with the young writers and illustrators who turned up, including robots and firebirds and dodgy dustbin men and slimy grimy monsters. We then created a new adventure for Dave Pigeon with ideas from everyone. We met Doktor Triangle and his evil twin at the Baddest of Baddies contest where Dave Pigeon had unwittingly signed up, having accidentally been dropped from a helicopter whilst carrying a drill. It was a brilliant collaboration and mash up of ideas. Thank you to everyone who came along and a HUGE thank you to the staff at North Finchley Library and Ruth and Neil from Barnet Libraries who made us feel so at home in their lovely library.